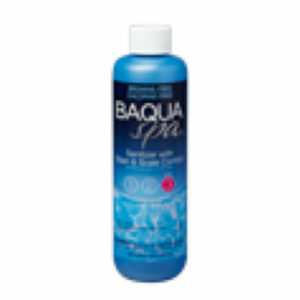 Talk with us, your authorized BAQUA Spa. We will recommend the best system to suit your spa and your lifestyle. A unique, patented formula that prevents the formation of waterline deposits on the spa shell. 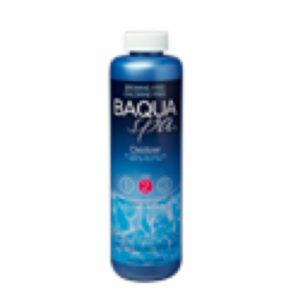 Step 1 of the BAQUA Spa 3-part system. A liquid oxidizer consisting of specially stabilized hydrogen peroxide. 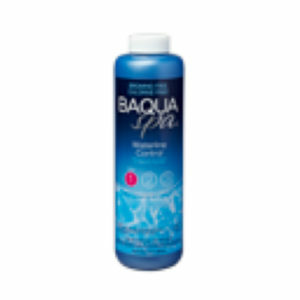 It keeps spa water sparkling clear by oxidizing organic compounds. 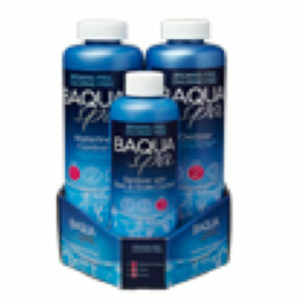 Step 2 of the BAQUA Spa 3-part system. 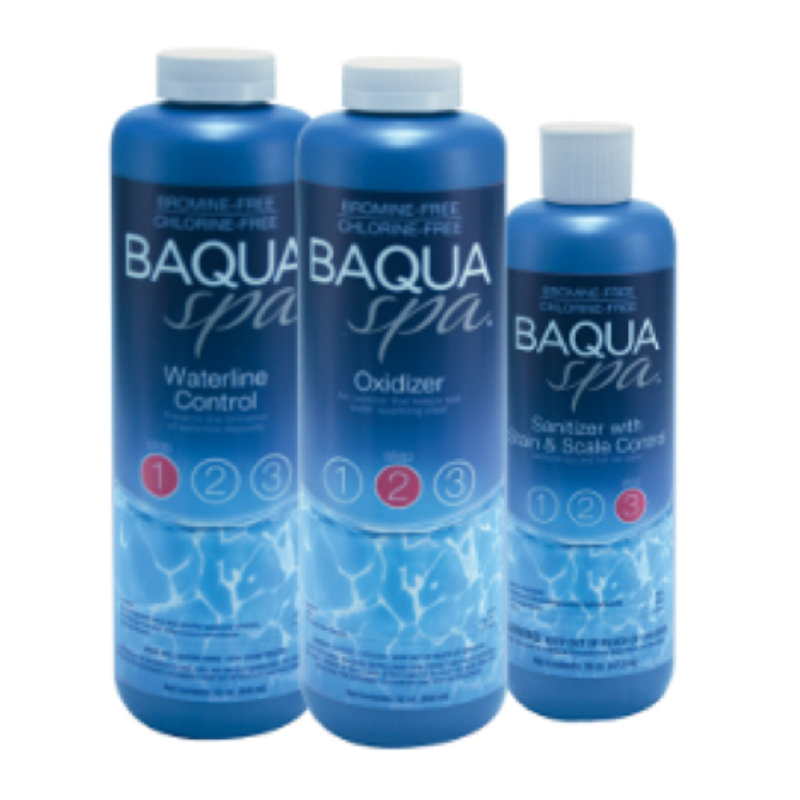 The principal ingredient in the BAQUA Spa Water Care System. A bromine-free, chlorine-free liquid sanitizer that provides effective control of bacteria and protects against staining and discoloration due to metals. It stores indefinitely is highly stable at elevated temperatures and lasts longer than chlorine or bromine. Step 3 of the BAQUA Spa® 3-part system. Includes sample sizes for 30-day treatment plus test strips, a measuring cup, and instructions.